Experience the excitement of elite equestrian sport with one of our exclusive WIHS Hospitality Packages. Tables on our Ringside Dining Clubs and in the PwC Club are available for purchase and offer sophisticated and elegant entertainment options. Guests will enjoy an exceptional culinary menu and open bar while mingling with Olympians, government, diplomatic and military leaders, celebrities and Washington elites. 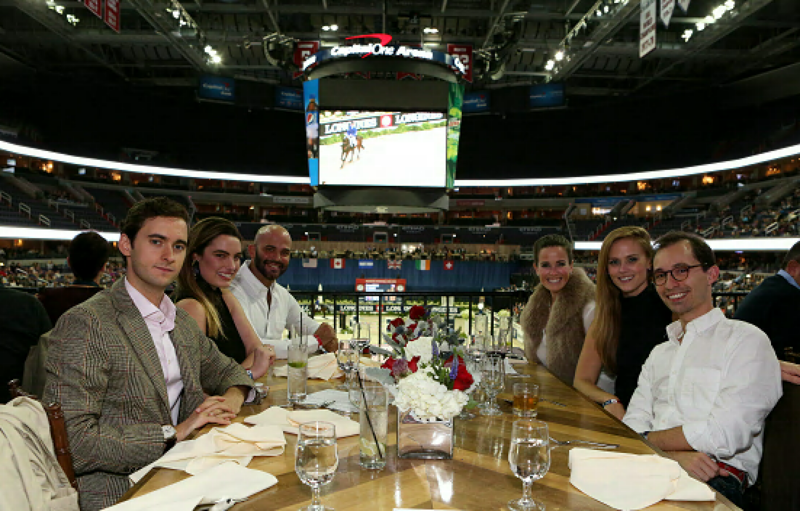 Tables in the Ringside Dining Clubs and PwC Club are benefits of WIHS sponsorship packages, which are tax deductible less the value of goods received. WIHS' two Ringside Dining Clubs are custom built platforms designed to offer an elegant and intimate atmosphere with superb views of the arena. With easy access off the main concourse, a limited amount of VIP tables seating eight guests offer the best seats in the house. Close to the action in the ring with gourmet buffet dinner and open bar on Tuesday through Saturday evenings, these VIP tables also offer a quiet private space to view the competition during the day. 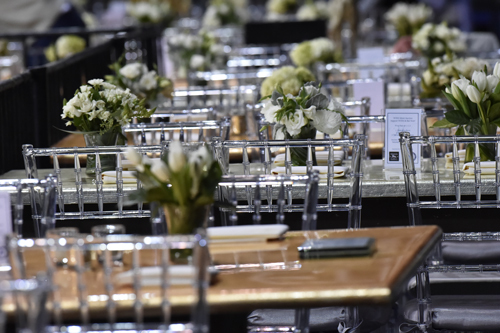 Our Ringside Dining Clubs also host luxury sponsor alcoves, such as Longines and Lugano Diamonds, featuring a curated boutique experience for table holders. 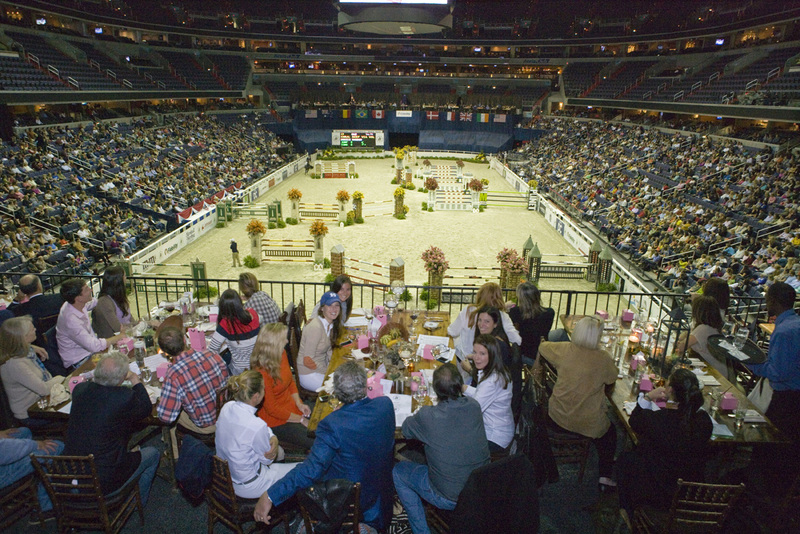 Purchasing a table for the full week is the best way to celebrate 60 years of WIHS in style! WIHS has a limited amount of tables for eight or four guests available for the full week. Table purchases include a Circle of Champions feature in the WIHS Souvenir Program, a commemorative VIP Gift Bag and sponsorship of a class, award, or program. All tables are tax deductible less the value of goods received. Join WIHS as we celebrate our Hunter Competitions and WIHS Finals on Tuesday and Wednesday evenings with special discounted Ringside Dining Club tables. Tables are $5,000 for both evenings! Bring your barn, family, and friends and enjoy the best in hospitality while viewing the best of the nation’s hunter and jumper riders and horses! WIHS pony special! Watch the day session competition on Saturday and Sunday from the comfort of a reserved table on a Ringside Dining Club. Breakfast and brunch available each day. Tables are $5,000 for the weekend day sessions. WIHS has a limited amount of single day and night tables available for Tuesday and Wednesday for $2,500 per day and evening sessions. Contact Mary Helen Shaughnessy, Development Director for more information at maryhelen@wihs.org. The new PwC Club seating experience offers superior sightlines and comfort, along with unlimited complimentary access to premium buffet and open bar, creating a destination for fans to congregate and socialize throughout the evening. Patrons of PwC Club can enjoy their meal from a reserved table inside the club, and then move to the new premium seating offered for viewing the competition.Sponsorships that include premium seating in rows one and two will include the comfort of oversized leather seats for one of the most luxurious seating experiences offered at Capital One Arena. Beer tastings and a photo-booth add to the festive atmosphere that holds our fundraising receptions for Capital Breast Care Center, TAPS, and USET Foundation. Learn more about the new PwC Club at Capital One Arena. Don't need reserved seats? Individual tickets are available to our receptions including the popular Buck Breast Cancer fundraiser for Capital Breast Care Center (Thursday), the Armed Forces Reception to benefit WIHS’ official military charity TAPS (Friday) and the President's Cup Party in support of the USET Foundation (Saturday). Party tickets will go on sale in mid-September. For more information about hospitality and sponsorship opportunities, please contact Mary Helen Shaughnessy, Development Director at maryhelen@wihs.org or 202-525-3679.